Indecent Discretion: Why Nchito’s “nolle” defies both law and common sense | Elias Munshya, LL.M, MBA, M.DIV. As a constitutional democracy, our republic must be led and controlled by both the written constitution and the unwritten spirit of constitutionalism. It would be ridiculous for officers of the state to go on a rampage abusing their discretion simply because the text of the constitution so says. It is dangerous to read or apply the text of our constitution without regard to important principles that undergird it. It would be wanton recklessness for our people to do stuff simply because the constitution says so. It can never be justified to do injustice to another simply because the rote text of the constitution so says. Beyond the written text, we must adhere to common sense, common sense of justice and the call of sanity rationed by a command of justice. There are a number of officers in our republic who have been given the sacred duty to exercise discretion for the good of our democracy. This is a sanctified calling. It is a huge responsibility. Discretion is not an opportunity for selfishness, nepotism and tribalism. For example, the Head of State has discretion to choose a cabinet of her choice from among the Members of Parliament. She also has been given the discretion and prerogative to elect 8 individuals who should become members of our national assembly. The Head of State also exercises numerable other prerogatives. Indeed for our democracy to work, prerogatives must be had. Cabinet ministers also exercise some prerogatives. In some cases, these prerogatives are quite wide and often ambiguous. The Attorney General does have powers and prerogatives within her jurisdiction and so does the Director of Public Prosecutions. When it comes to the Zambia Revenue Authority Act, the Commissioner General has the prerogative to alter, change or make exceptions to taxes imposed on individuals, companies or corporations. Wouldn’t it be offensive to common sense if the Commissioner-General used this prerogative to exempt her personal companies from paying duty? If the Commissioner-General can’t be allowed to abuse her discretion in that manner, how on earth did Bo Mutembo get the guts to believe that he could walk into our sacred chambers and stop the prosecution of a case involving his own alleged criminal activities? The exercise of state power, discretion, and prerogative is not just limited to the texts that empower these individuals. The exercise of these prerogatives is tied to the spirit of the constitution and the rule of law under whose guidance the said texts predicate. Several principles undergird the exercise of the prerogatives or discretions of state power. The first principle predicates from the idea that any officer of the republic should exercise her powers to the furtherance of the interests of the republic. Second, any one exercising state prerogatives should recuse themselves, if the exercise of their prerogatives will directly impact on their personal interest. Now there is no law that should actually say so in order for this presumption to be valid. There are so many presumptions at law that we take without having to demand that they be written before they are valid. To demand that everything in law should be written first before it takes effect would be tantamount to threatening our democratic civilization itself. 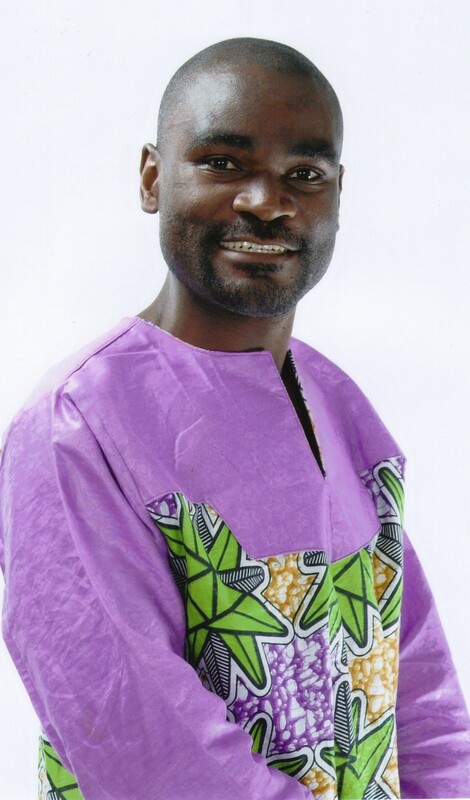 Bo Nchito has been accused of heinous crimes against individuals and the state. That being the case, we must follow through the law and let the courts deal with these cases. If not for any other reason, it should be offensive to public morality for a DPP to enter a nolle in a case that involves his or her own alleged crimes. The letter of the text of the law has given powers to the DPP to discontinue prosecutions of any criminal matter. But the law never envisaged a situation where the DPP would discontinue a matter that involves her own alleged personal crimes. However, in the specific case of Mutembo Nchito, we all should be patient enough to hear what the Magistrate Court will finally rule on the matter. When people demand that Bo Mutembo should account for his alleged criminal activities, they should be taken seriously. Mutembo and his cartel did well to go beyond the business of running a law firm to the business of running airlines. Good for them, they diversified. However, we should be firm in our demand that those who want to run airlines, law chambers or mines should do so with a specter of integrity. Regardless of how many airplanes you acquire, if you are using stolen money, it cannot be good for the county. As we used to say in Chiwempala, “zimya neighbor” using “indalama isha kwiba” does not help in the long run. Here is what Bo Mutembo should do. Stop hiding behind the bombasa of nolle prosequi. We have had presidents in this country whose bombasa got stripped and they had to account for their alleged crimes. These presidents commanded our soldiers, ruled over the police, and all the million guns in our country quivered at their signature. What makes Bo Mutembo think that he could get away from the people’s process using a “nolle”? There have been great men and women in this country who have had their day in court. Bushe bena tabali bantu? What makes Mr. Zimya Neighbour think that he can get away with these allegations? The best way to beat these allegations is not by all this “nolle” nonsense, but rather by accounting to the people of Zambia. Zambians have some questions. Bushe indalama sha ndeke shali sha kwiba? What about the court judgment, did you falsify it? When you became DPP did you know that you had stolen “katundu” from the Zambian people? When trying to convict Chiluba and his friends, did you cook some evidence? These are some questions our people are asking. And it is only right that they get an answer even if that answer has to be whispered in court. Bo Mutembo, please save us the drama and take off that bombasa, tafiweme! 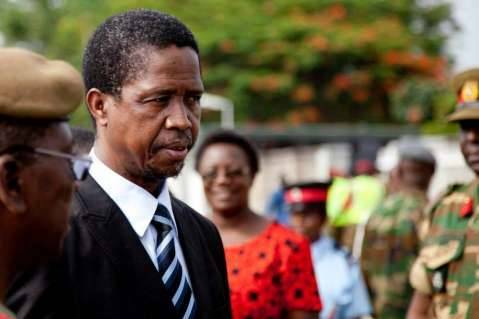 President Edgar Lungu is now Head of State. He should act quickly in matters that threaten national integrity. It is not right for His Excellency to ignore this matter when there is some evidence, at face value, that suggest some crimes may have been committed by the occupant of a constitutional office. President Lungu should not be ruling through “slow motion”. There are decisions in this country that must be made before making trips to Addis Ababa, Cape Town or Mfuwe. If he can’t act on this serious matter, we should all doubt his seriousness to fight corruption and rein in a cartel that went berserk dogging allegations of crimes, theft, and corruption. Mr Munshya, that quotation is from your article. Very biased. The “self-nolle” had a context. Just to refresh your mind. He was arrested on the basis of a court order from Chongwe, which the High Court ruled was “null and void ab initio”. He was arrested despite a High Court Order. The I.G. informed him that the police would NOT be obeying that order (Remeber your article on the state & constitutionalism?). When he used the “nolle”, it was the THIRD time that the matter was coming before a court. So in this scenario, you wanted him to subject himself to all those illegalities and ‘explain to the Zambian people’? No sir, Mutembo, just like any Zambian including RB & EL is equal before the law. Mutembo has every right to use all the arsenals legally at his disposal to defend himself. The Zambian Airways case is before the courts properly. That is how a civilised country should behave. So, by your reckoning, what Newton Nguni and Co did was the right thing? Does not the constitution say how a sitting DPP should be removed? Is what Stella Libongani did OK because she ignored a High Court order in order to arrest someone you do not like? No. We show our commitment to constitutionalism & freedom when we defend the right of our enemies to be protected by the constitution. In an earlier posting I had asked what your view is about the “self nolle” since a “court of competent jurisdiction” agreed with Mutembo? Maybe it is wrong because of the person the court is agreeing with? Mr Munshya, I find your reports a tad biased against Mutembo Nchito. I suspect, like so many people, you presumed him guilty because people say so. Those strident voices are obviously his detractors, like THe Daily Nation. I thought a lawyer of your stature belives in the presumption of innocence? By the way, you have not commented on the fact that a court “of competent jurisdiction” agreed with the DPP that the “self nolle” was in order. I would be interested to know your thoughts on Mutembo’s submissions at the on-going tribunal. I have read the verbatim reports and from where I stand, I get the impression that he, rather than the state, is “quoting law”, while the state is waffling about. Try to give a dispassionate view and attack the points rather than the person. What’s up, all the time i used to check blog posts here early in the break of day, for the reason that i enjoy to learn more and more. Ba Munshya what can he do when the law has give him power which he can use to protect himself. The problem is not him its the way our laws have being formulated. They have many loophoes. They need to be rewritten to address such short comings. Or we need to amend our laws, otherwise the temptation is big. I am impressed with your scholarship. to these media for obvious reasons. for your scholarship and expansive perspective on varied issues affecting our nation.